Z-wave dimmer and fan control possible in this layout? I’ve got the below wiring running between two switches and a fixture in the ceiling. I “believe” it is a standard 3-way config and their is a neutral in each switch box. I only have a non-touch power tester to test for current, so I made the below diagram using it. 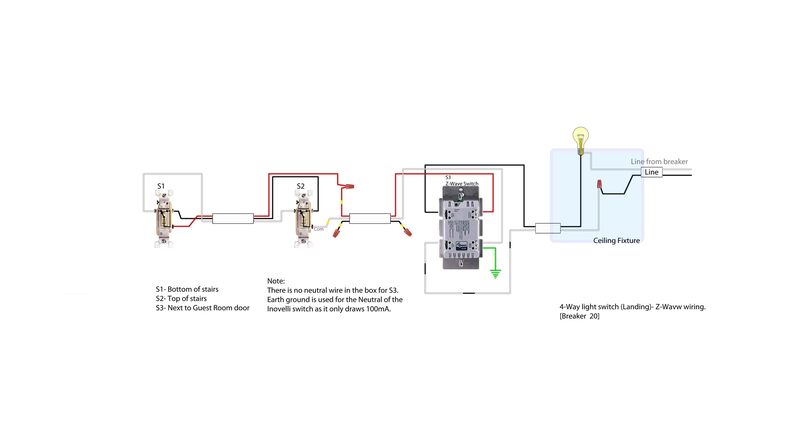 Or, is there an in-fixture fan control kind of like the Aeon Labs micr-dimmer that would work for controlling the fan via remote? My Z-Wave switches and dimmers (Inovelli) work whether they are connected to Home Assistant or not. Your drawing is incomplete, specifically the configuration depends a lot on where the line (from the breaker) enters the circuit. The line voltage can come into either switch or the fixture itself- all resulting in a different wiring configuration. Oh, by the way, I have no fans. Thanks for the response, however In your configuration you don’t have a constant power source to the fixture, which makes your scenario very different. With a constant power source I can use in-fixture dimmers. Heck, with a controller I could have no switches at all and still be able to “switch” the fan and dim the lights, just not set fan speed. I’ll see if I can do a more detailed diagram. 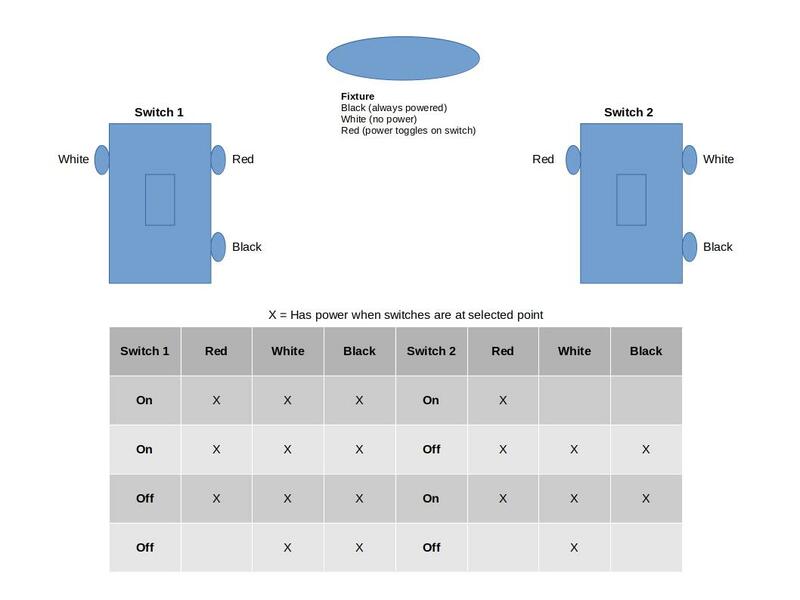 Switch 1 just has a 3-pair running to the switch 2 box, then the switch 2 box appears to have the line to the fan and from the panel. 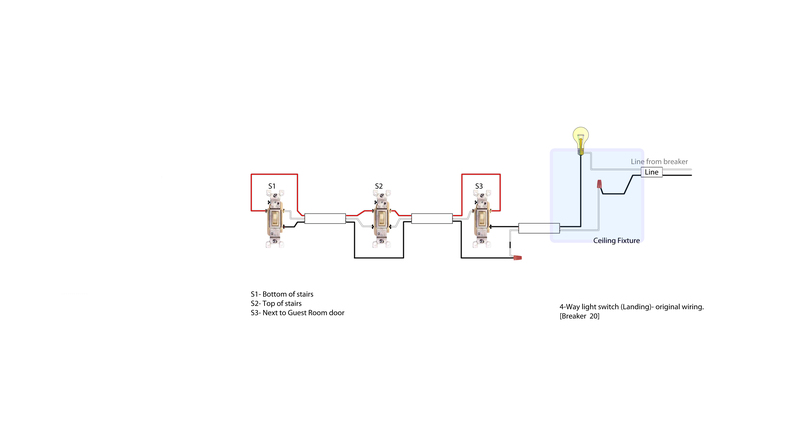 That’s why I said that where the line comes into the circuit is important to the final configuration. 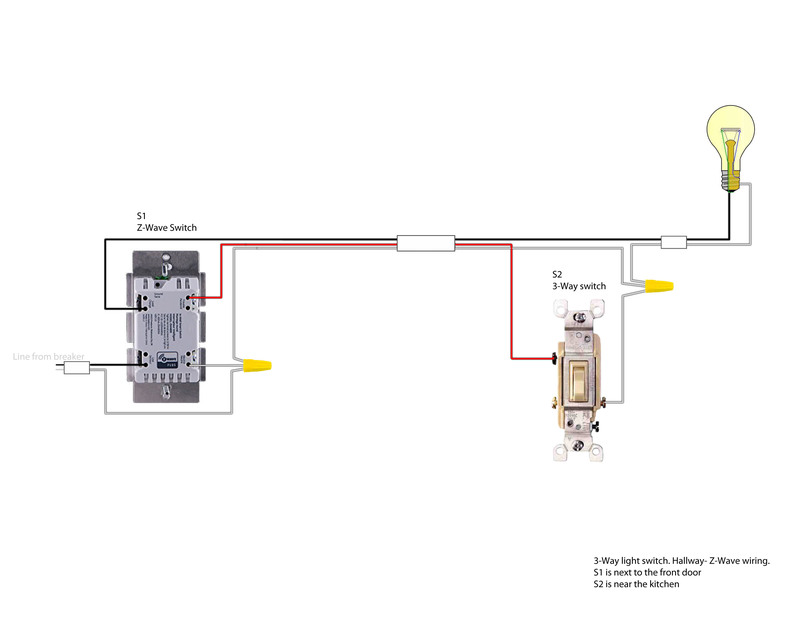 I have one 3-Way circuit that has the line coming into the fixture. But I had to break some rules to make it work. Ok, that’s helpful, thanks! What are you using to make your diagrams?